Asia has some of the most beautiful and amazing sights to see, offering something for every traveler. Every country requires its own bucket list, really, and each one of them would be extensive but here are the places that have inspired us so far. Hopefully, you’ll find the wonder in them too and capture it on camera. Ho Chi Minh City, formerly known as Saigon, is Vietnam’s most populous and busiest city. It’s also a very exciting place to be for backpackers looking to immerse themselves in local culture and meet fellow travelers. The backpacker district is Pham Ngu Lao is really just a connection of small alleys. Here you’ll find budget hotels left and right with fast internet. You won’t have trouble finding affordable places to eat or a convenience store. 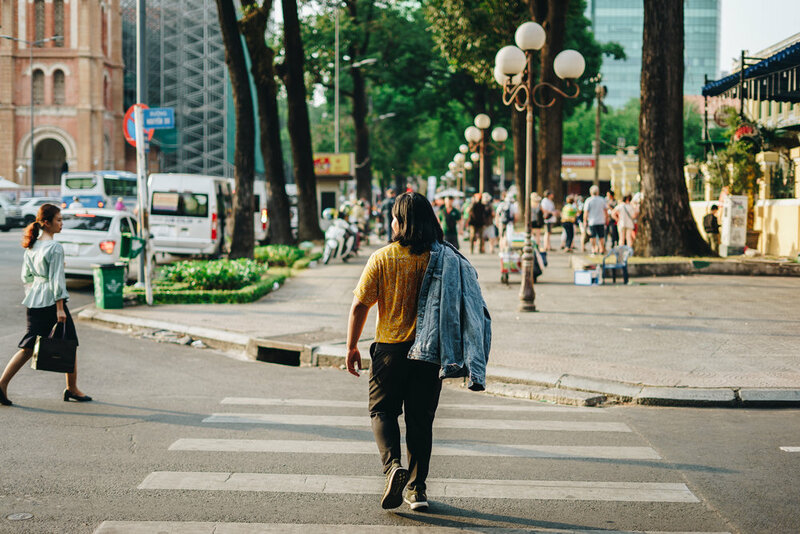 It’s strategically located near all of Ho Chi Minh City's top attractions, such as the Notre Dame Cathedral, Ben Thanh Market, and the War Remnants Museum. There’s something special about this district. See for yourself as you sit in a cafe in the morning and watch the streets come to life. If you’re headed to the Himalayas in Nepal, chances are you’ll make a stop in Kathmandu. Traveling to Kathmandu is like traveling through time. The city is made of brick, with rickshaws filling the streets, and in place of skyscrapers are ancient temples. Visit the Boudhanath Stupa, a UNESCO World Heritage Site, to see what Nepal’s capital has to offer. This temple, which has been through ancient trade and earthquakes, remains beautiful to this day. After the earthquake, The Guardian reported that masses of donors funded its renovation because it is such an essential structure to the history and religion of the country. But fair warning: Kathmandu busy streets, sounds, and sights can be overwhelming to the senses— or inspiring, depending on how you see it. Tel Aviv’s white beaches don’t get enough credit, but it’s a coastal destination worthy of visiting. This piece of the Mediterranean glistens under the sun and is surrounded by the busy streets of Israel. A perfect day in Tel Aviv starts with surfing some gnarly waves and eating local delicacies at the Carmel Market, such as falafel, hummus and sabich. Keep an eye out for the Bauhaus style houses that earned the city its nickname, the White City. If you head to Florentine, you’ll notice that the walls are covered in graffiti, which showcases the growing art scene in the city. Tel Aviv is definitely a more laid-back destination, perfect for a relaxing holiday. There’s so much to say about traveling to Bali and there’s more to it than being a popular party destination. Yes, throngs of tourists flock to Bali’s beaches to have fun but that’s only one way to really enjoy it. Steer away from Kuta if you want to see the real Bali and head to Ubud, which boasts an explosion of flavors in its delicious cuisine. Make sure to try Shoot My Travel’s favorite Balinese dish, the babi guling or suckling pig in marinade. 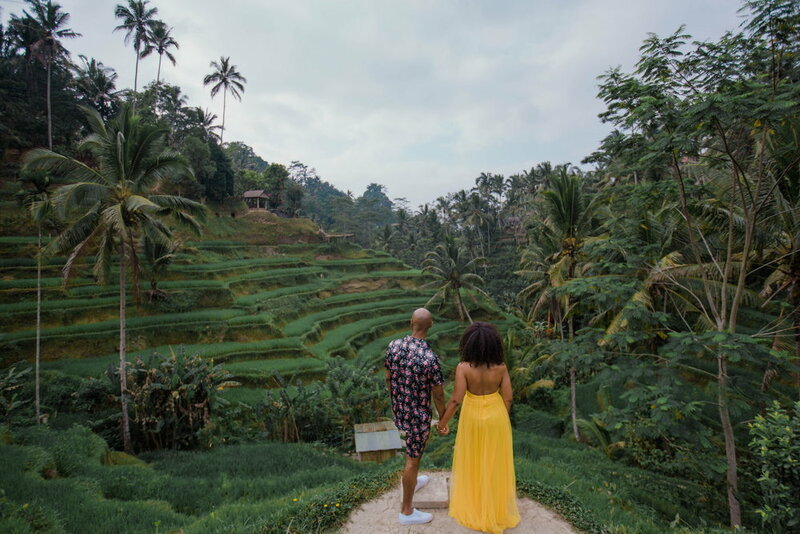 Ubud also has stunning rice terraces and waterfalls, a couple of panoramic hikes best done in time for sunrise, and the most relaxing yoga and spa retreats. Despite the spike in tourism in recent years, the real culture still remains visible in Ubud, which is really one of the best things about it. The Taj Mahal, Ganges River, Kashmir— there are plenty of bucket list worthy places in India alone. Consider adding Jaipur, aptly known as the ‘Pink City’ which has been labeled by CNN a ‘photographer’s paradise’. The pastel pink and architectural symmetry holds up well in pictures and looks like it is straight out of a Wes Anderson film. Head to the Hawa Mahal palace, the City Palace, and UNESCO World Heritage Site Jantar Majar, which is an open-air observatory. Aside from these pink buildings, they are also known for craft-making and you’ll find jewelry-makers, wood-workers, and stone-carvers on every corner. Japan is also one of those Asian countries that you need to experience more than once in your lifetime. If you find yourself in the northernmost island of Hokkaido, the city of Sapporo is a must-see. In the month of February, Odori Park becomes a winter wonderland in time for the Sapporo Snow Festival. Locals love winter and winter sports ever since the Sapporo Dome was developed for the 1972 Winter Olympics. Aside from being the center of sports in the city, the Sapporo Dome is also a display of engineering and architectural achievement. It’s built with a retractable surface to switch between the grass fields for soccer and a turf field for baseball. Before you go to a game or look around the stadium, you can spend an afternoon learning about the history of brewery in Japan at the Sapporo Beer Museum.